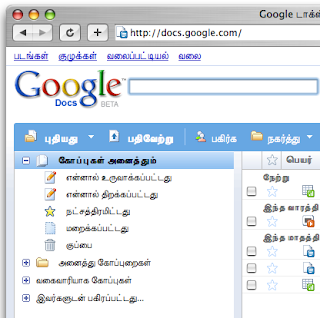 On Tuesday, we launched Google Docs in 8 Indic languages: Bengali, Gujarati, Kannada, Malayalam, Marathi, Oriya, Tamil, and Telugu. These languages are spoken by hundreds of millions of people, many of whom live in India, Sri Lanka, and other countries in South East Asia. With this launch, Docs now support 48 languages. To use Google Docs in your preferred language, just sign in, click ‘Settings’ in the upper right hand corner, and select a new interface language.